A summit of European and Latin American leaders could take the continents’ relationship to new heights, if they can make progress on trade and are willing to talk about Venezuela, writes Dita Charanzová. Dita Charanzová is a Czech Member of the European Parliament and a member of the Alliance of Liberals and Democrats for Europe (ALDE). She is a member of the European Parliament’s delegations to the Euro-Latin American Parliamentary Assembly and to Mercosur. Just two months ago, US President Barack Obama and his Cuban counterpart, Raúl Castro, shook hands at the Summit of the Americas held in Panama, a moment heralded as historic. A potentially dramatic process of change is under way in Latin America’s geopolitics. The positive progress in the Americas should not be lost. 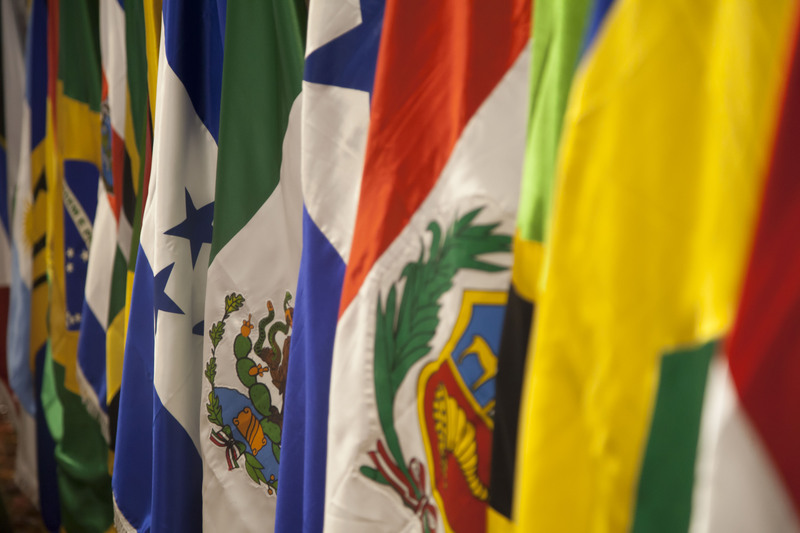 Boosting that momentum is the real task for the leaders (or representatives) of 61 countries from the European Union and the Community of Latin American and Caribbean States (CELAC) when they meet in Brussels on 10-11 June. The opportunity could easily be lost and not noticed. Too few European politicians and voters realise how much Europe trades with Latin America (around €210 billion per year) or that China’s influence in the continent has increased, at Europe’s expense. The political strains between the continents are sometimes noteworthy, but the political ties can be surprisingly close. If momentum is to be maintained and political differences eased, Europe and Latin America’s leaders need to show greater resolve to push forward the two continents’ trade agenda and to address the most immediate political and human-rights crisis in Latin America, in Venezuela. Europe arguably has a stronger voice than it did at the last CELAC summit. In 2013, Europe was still in the midst of its economic crisis, while CELAC countries were experiencing high growth rates. Now, the EU’s economies are slowly recovering, while Brazil finds itself in recession, with Argentina and Venezuela experiencing increased inflation. Progress on the trade front largely depends on Brazil, in part because it holds the presidency of Mercosur and in part because attitudes there are changing. In 2013, the EU and Mercosur had promised to re-start long-stalled talks for a trade agreement. The talks remain stalled. Brazil’s president, Dilma Rousseff, has made positive statements in the past month. Hopefully, statements can become commitments at this summit. The implications would be large: the EU is already Mercosur’s largest trading partner. This would reinforce encouraging changes elsewhere on the continent. The members of the Pacific Alliance – Chile, Colombia, Mexico, and Peru – are moving towards freeing trade with the EU, and the EU-Mexico summit on Friday (12 June) could pave the way for a full revamping of the EU’s trade agreement with Mexico. The EU and Mexico have a very good relationship. I would like leaders at the CELAC summit to show that they want the relationship between the two continents to be just as good. Much needs to be done before that happens. There needs to be some political convergence, but towards a better alignment based on the rights of individuals. That requires discussion about Venezuela. Venezuelans may be denied the right to vote this year, and the human-rights situation has worsened so much that a number of political prisoners are now two weeks into a hunger strike. A number of former presidents and prime ministers from Latin America and Spain have responded actively, vocally and impressively. But serving leaders on both continents have been disappointingly silent. Latin American politicians are sensitive about criticising Venezuela. I saw that clearly last week at the Euro-Latin American Parliamentary Assembly in Brussels. Divisions over Venezuela were so great that the assembly was unable to issue a joint communiqué to participants of the EU-CELAC Summit. The situation in Venezuela is not part of the official agenda of the Summit. The topic, though, will linger in the air, potentially poisoning it. Leaders may be reluctant to criticise Nicolás Maduro, Venezuela’s president, very publicly. They may prefer to brush the Venezuelan question under the carpet. But the people of Latin America and in Europe need to know that pressure is being applied on Maduro. The summit offers an opportunity for the two continents’ leaders to break their silence. The EU-CELAC strategic partnership is often cited as resting on the strong shared aspirations and values of peace, democracy and respect for human rights. Now is the time more than ever for Europe and Latin America’s leaders to live up to these values.